I had been thinking about taking some time to say something about Billy Graham who died last month at the age of 99. Billy Graham’s seven decades of ministry were all about calling sinners to repentance and conversion to faith in Jesus Christ as their Lord and Savior, who died on the cross for the forgiveness of our sins. All four Scripture readings this morning have to do with conversion, so this morning would be a good time to talk about that. I will get to those Scripture readings later. If you are under 35 years old, you may not even have heard of Billy Graham until all the publicity about his death. His age and declining health ended his ministry work several years ago, so a whole generation hardly knew who he was. But for the four generations before that, Billy Graham was looked up to as American’s preacher and admired as a true man of God. He was internationally known already when our oldest members were still in school, and he was spiritual adviser to every U. S. president from Harry Truman to Barack Obama. Without a doubt, he proclaimed the Gospel live to more people than anyone who has ever lived or ever will live. His open-air stadium preaching, which reached tens of millions in person, is not how it is done anymore, and so there will never again be another ministry like his. He began his city-wide crusade ministry before television, but then he got into the early days of that also, reaching billions that way. He was involved in the starting of churches, relief organizations, colleges, college ministries, magazines, and radio stations, including our own KTIS here in the Twin Cities. 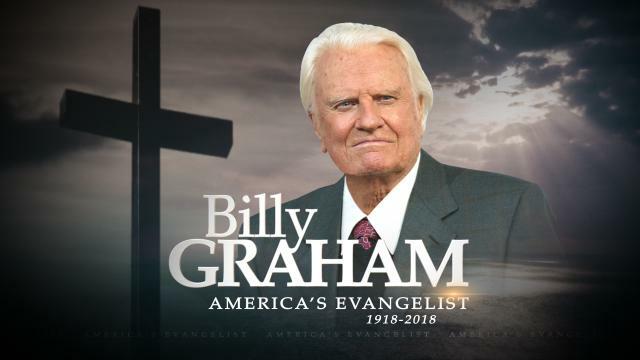 More than any other single individual, Billy Graham influenced the entire course of Christianity in American in the last half of the 20th century. He made his mistakes, especially when he got into politics (and who doesn’t get muddied in that arena?). But in his personal life, he was above reproach. Billy Graham made the Gallup Poll top ten list of “Most Admired Men in the World” for 61 years in a row, twice as many times as any other man. Theologically, Billy Graham was not a Lutheran, but so what? Diversity is a big word these days, and God certainly has a diverse family, doesn’t he? There are so many different denominations, so much diversity within the denominations, so many different views on everything, even within each congregation. I think God likes it that way. This diversity can be maddening sometimes, but it can also be enlightening and enriching and enjoyable and wonderful. We can learn so much from others, even from those with which we do not agree on everything. I learned much and was much inspired by the life and preaching of Billy Graham. But if we are Christians, we have to live by our name, and at the center of everything we do has to be Jesus Christ. We can be diverse, but we must be united in our faith and trust in Jesus. And I am not here to talk about Billy Graham, but about Jesus. And nobody has done more to proclaim Jesus, and keep Jesus at the center, than this son of a North Carolina dairy farmer, Billy Graham. I have heard that on his tomb is printed these words: “Billy Graham, preacher of the gospel of the Lord Jesus Christ;” along with the words of Jesus in John 14:6: “I am the way and the truth and the life. Nobody comes to the Father, but by me.” That was Billy’s simple message for over 70 years of ministry. To tell the story of Billy Graham is to tell the story of how millions of people came to faith in Jesus through his ministry. I have listed only a few of Graham’s many accomplishments and influences. I could spend the rest of our time together listing more. I could have also looked up the statistics of how many millions of people came forward at his services to give their life to the Lord, with the choir singing “Just as I Am, Without One Plea.” But instead, I will tell just one story of one man, as an example of the many lives that were touched by Billy Graham; and, as an example of the power Jesus can have on one’s life. 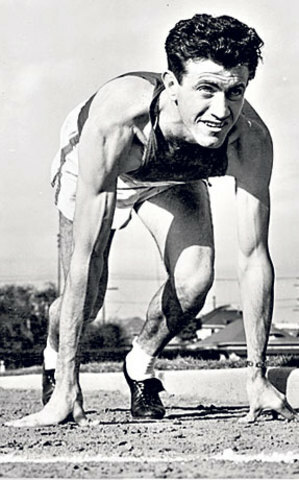 Perhaps you’ve heard the story of Louie Zamperini (1917-2014) . It is told in the best-selling book Unbroken, and, in the 2014 movie by that same name, produced and directed by Angelina Jolie.